Kicked off in 2008, Spotify has been running for 10 years and Hong Kong users have been enjoying its services since 2013. 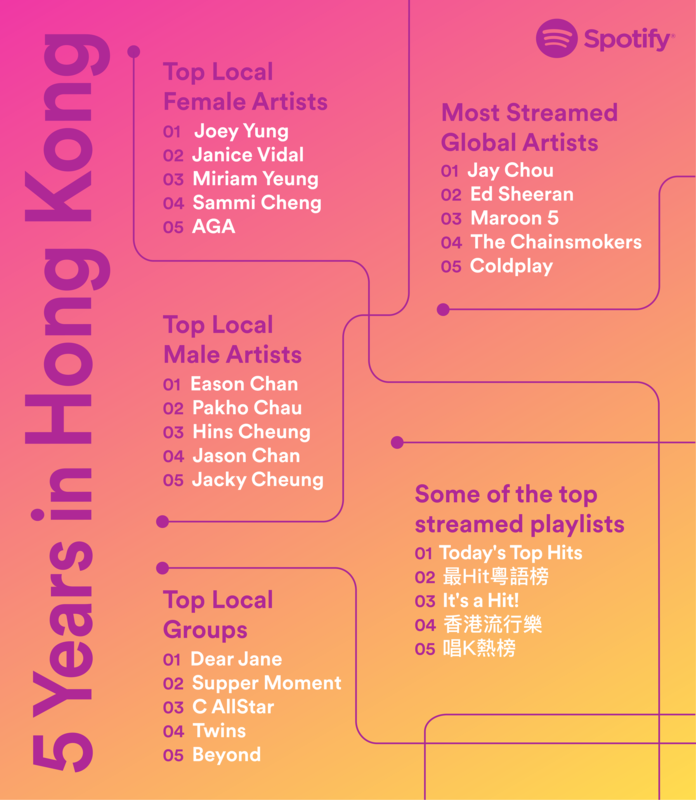 To celebrate, Spotify recently unveiled the list of most-streamed local and global artists by Hong Kong users. Spotify’s release contains various categories, namely top local female artists, top local male artists, top local groups and most streamed global artists. It also includes some of the top streamed playlists. Some big names in Hong Kong are included. For example, Joey Yung, Janice Vidal and Miriam Yeung are top three female artists. On the other hand, Eason Chan, Pakho Chau and Hins Cheung dominate the top spots for the top local male artist category. Here is the list of Hong Kong users’ favourites in the past five years. Apart from the chart, Spotify also said its free experience is the main entry point for many users. 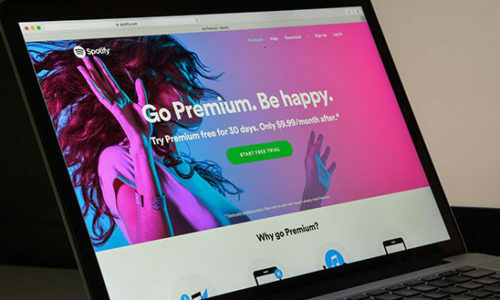 More than 60% of Spotify Premium users started out on the free tier. They are then able to find their favourite music and discover new music through access to Spotify’s curated playlists and customised playlists, such as Discover Weekly. "I was not adjusting to the curve of social media fast enough. The consequence was that for the first few years, we missed our goa.. The company's event strategy for each brand drives deeper engagement. Marketing lead for Singapore Susanne Arfelt Rajamand explain..